Home　>　Experience　>　BBS Suzuki limited. Many Japanese may have seen it on television or in magazines: the unforgettable scene where you cover a ballooon in shaving foam, then slowly and carefully shave and drop the foam from the balloon. This is a practice often performed to take barbershop qualifications, practice that will allow you to shave customers' faces with razors. The service of shaving like this can only be experienced at a barber shop. 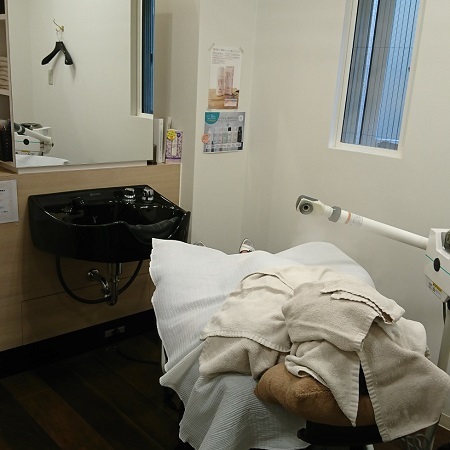 Other services, such as comfortable facial massage and scalp massage, are services that can also only be offered by a barber shop. BBS SUZUKI is a barber shop that can provide these services. Furthermore, it is a traditional shop that has a history of more than 60 years. Even for men, when shaving, as the moisture content and oil content of the skin increase, by shaving facial hair, the face color becomes brighter. However, shaving is not only for men and it is actually popular also with Japanese women. Geisha in particular shaves regularly. In the case of women, not only does the complexion brighten, but also the absorption rate of the lotion increases and it keeps the moisture rich texture. In addition, when it is combined with a face massage, the absorption rate of oil will also increase, so nutrients will penetrate more deeply into the skin. Also, by removing the old keratin firmly, cosmetics are easy to apply. This is why the geisha shaves regularly. For geisha, it is necessary to apply white paint firmly to the face and shaving the face prevents smeared make up. These days, not only Geisha, but also women in any profession which always requires makeup also shave regularly. Since it is a well-established shop, there is no problem with the shaving technique, of course, and the tools used are also high quality, made by Japanese craftsmen. For example, to apply lather, the brush is made from high quality raccoon hair and the soap is also made in Japan. 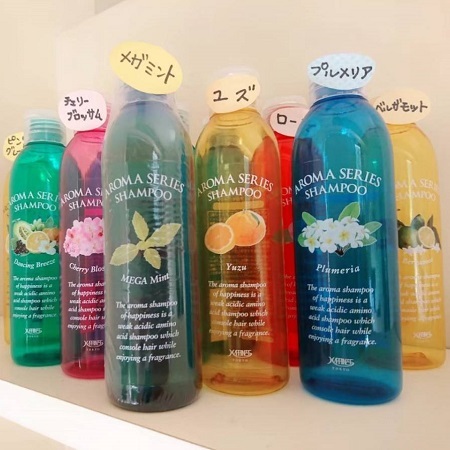 In addition, in the long history of the shop, things like shampoo and conditioner which are good for the hair have also developed in-house in order to offer customers better products. There are some women who are embarrassed to be seen having their face shaved, a face massage or scalp massage. There are the rooms only for women and with female staff, so you can experience the most relaxing space by yourself. 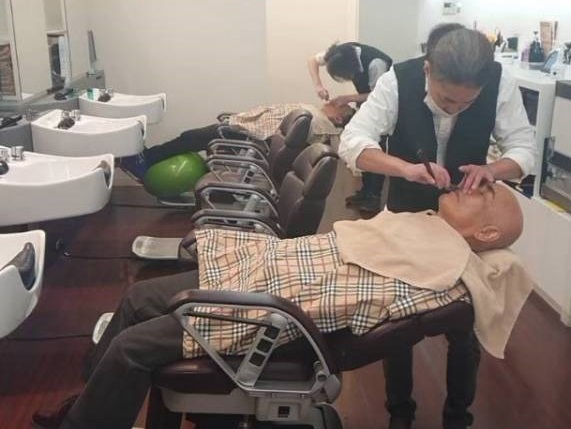 For this reason, many Japanese women visit here when they wear kimono at a wedding, at a coming-of-age ceremony or agraduation ceremonies to get a shave and massage service in a private space with dedicated staff.